This bright, colourful and beautiful wooden I Learn Counting and Stacking Vegetables Set is perfect for children aged 18 months and above who are just learning to count. 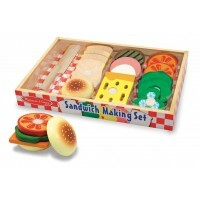 The set features vegetables such as a radish, a carrot, a leek, potato and tomatoes that all need to be stacked by colour and shape and counted to match the corresponding numbers on the base. To keep little ones interested there is a potato hiding under number 1 just waiting to be dug up. There are rotating fruits and birds in the tree as well as a little blue bird hanging from the tree 'flying' around while you stack and count. 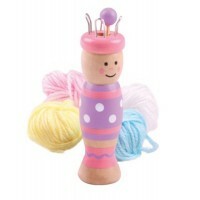 A fabulous and well designed educational toy from French toy maker Vilac.